IP68 WP RGB LED Flex Strips - 12 volt DC, 5 Meters (16.4 ft), IP68 WP Version, Double Density, High Output, Super Bright and Flexible. Double Density, 300 LEDs per Spool. Endless uses! 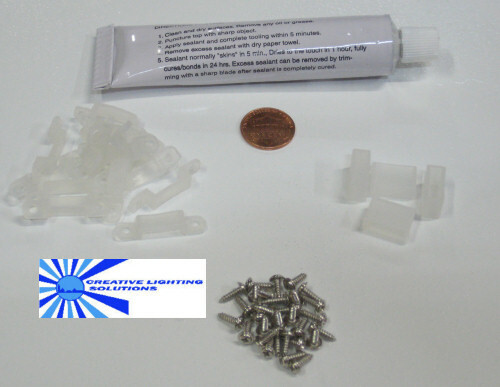 Rubberized Clips/Screws included (15 Sets), 4 additional end caps, Silicone Glue along with the 3M(tm) Double sided tape on the back.